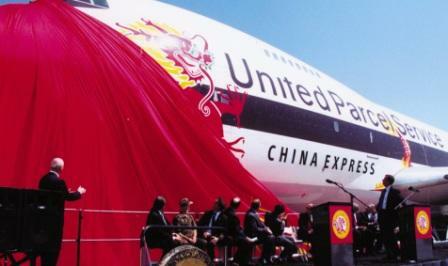 United Parcel Service (UPS) unveils direct service to China from Ontario International Airport. Their investments, in turn, generate returns for the community. A business investing in expansion creates new job opportunities for residents. A developer investing in new housing attracts new consumers for Ontario’s retailers. These investments add municipal revenues, which the City reinvests in community facilities, public improvements and services that increase shareholder returns. Through the Community Economics Element policies, the City commits itself to protecting these investments. Generating better and higher returns gives Ontario a competitive advantage to attract even more investment. This new investment and reinvestment creates a self sustaining cycle of prosperity. Articulates our approach to developing and maintaining the community’s economy and its relationship to the City’s fiscal health. Creates a framework to attract investment in Ontario. Establishes our policies for economic development. A complete community will be better positioned to compete and attract investment. The wise and principled management of the public’s finances is a primary responsibility of our City government. Actions taken by the City should take into consideration immediate and long term economic and fiscal implications. Unique, high quality places differentiate Ontario and thereby attract additional investment.